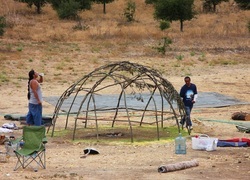 The Ohlone Sweat Lodge happens usually on the Saturday after the second Sunday of the month at Chief Cerda’s house. The Sweat Lodge provides a space for tribal members to become cleansed/purified and to let everyone know what they are thinking in the Talking Circle that follows the Sweat. 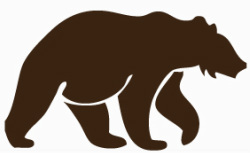 According to Chief Cerda, in the early 1860’s when the Missions were disbanded and secularized the Ohlone were left in period of transition without a way of life and strong practice of ceremony so Talking Circles developed as a way to reconnect both inter-personally and with a deeper spiritual way of life. Chief Cerda and the tribe have been continuing that tradition of ceremony for 150 years now. The most important part of Sweat Lodge, according to Chief Cerda, is its ability to build community, which is needed now more than ever.